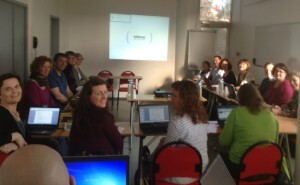 The third meeting of the FareWellDock project took place on the 8th and 9th April 2015 in Paris (France) with 16 participants. Two external participants having scientific interest in tail docking and/or biting were also invited for the first day. During that day, we informed each other on progress on the first half of the project within each of the three Work Packages. When results were available, they were discussed. Schedule for new or ongoing experiments as well as plans for data analyses during the upcoming 18 months were also discussed. 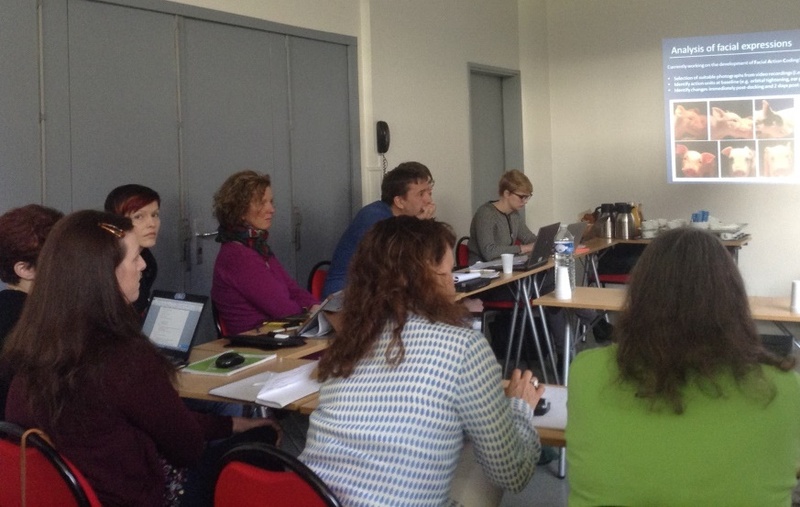 External participants (Nanda Ursinus from university of Wageningen, NL and Keelin O´Driscoll from Teagasc, Ireland) presented their own research projects (see Nanda’s contribution and Keelin’s) and discussed the possibilities to interact further with partners from the FareWellDock project. On the second day of the meeting, content and schedule for the mid-term report, update of the list of participants, dates, location and content of the next meetings were discussed. In order to communicate the results of the project to the pig industry, the possibility to organize a stakeholder meeting at the end of the project was thoroughly discussed. 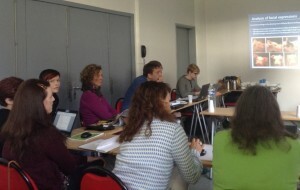 At the end of the present meeting, the participants split into small groups to discuss in details topics that needed new input: a) the screening method regarding the use of straw to fulfil behavioural needs of pigs, b) the assessment of pain and the use of immune markers, c) the use of AMI sensors for assessing pig behaviour, the use of tear staining to assess stress in pigs in relation to tail biting, d) the analysis of behavioural sequences leading to tail biting. The 2-days meeting was intensive and fruitful, and allowed good sharing of expertise and ideas between partners of the six countries. The first half of the project already led to the production of a lot of data, fully in accordance with the plans and even beyond. To continue the discussion between participants, a video meeting will be held on the 7th October 2015 and a physical meeting (last meeting) will be organized in November 2016 in Denmark.